In 2008, I started breeding Cockapoo's and started grooming them myself because I didn't want to leave them somewhere all day. At the time I was working full time as a Salesperson for Health Insurance. After getting laid off in 2011 I decided to finally "do what I love"! 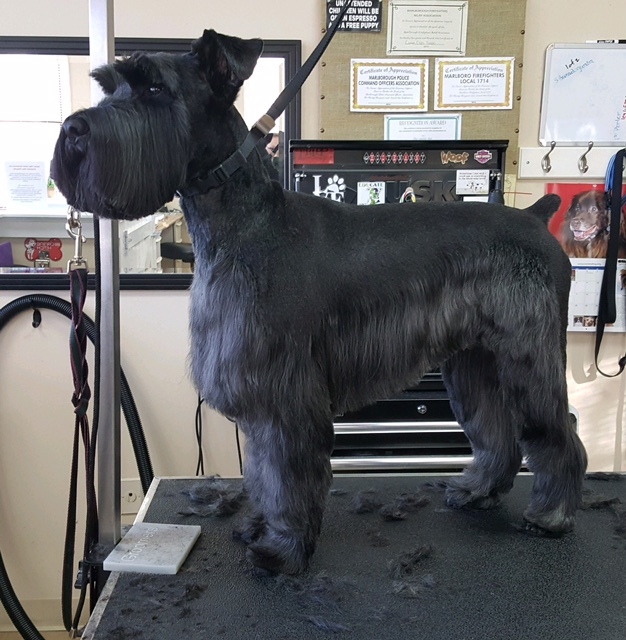 In 2012 I completed a Dog Grooming Academy and started working as a groomer full time. I absolutely love grooming!!! I finally found what I want to be when I grow up! LOL! Through the years, I have and will continue to attend seminars/lectures/classes on canine development, breeding, genetics, training, etc. I have competed in AKC confirmation events and intend to compete in the obedience ring as well as try out agility. I have been a foster home for many dogs, cats & kittens over the years and will continue to do so until there are no more homeless pets. I am a member in good standing with the New England Pet Grooming Professionals, American Cockapoo Club, ASPCA, MSPCA, WWF, MA Humane Society, National Wildlife Federation & The National Humane Education Society. In 2006, I obtained my Small Animal Massage Certification from the Bancroft School of Massage. The certification required 161 in-class hours at BSMT & 39 hours in an off-campus internship. Courses include: Small Animal Anatomy, Animal Behavior, Handling and Management, Animal Massage Techniques I and II, Passive Exercises, Animal First Aid and CPR, Business Practices/Ethics, Marketing, Internship, and more. It was an AMAZING hands on program! Massage is a wonderful way to connect with animals and the benefits are amazing! I've watched dogs run an agility course and knock over jump after jump but after spending 15 minutes on my table they ran a clean, fast run later that same day. Pam joined us in August 2016. 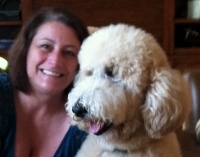 She has apoximately 10 years of pet care experience and 7 of those years as a professional groomer. Her vast experience with all breeds and her ability to listen to what the client desires truly makes her a professional. She is calm and patient with each dog she handles and is truly a profectionist. Nicole is the newest addition to our team as of September 2017. She has over 5 years experience as a professional dog groomer and we are so excited to have her! She is passionate about her work and will go above and beyond to satisify the client. She has a friendly and personable demeanor with a positive attitude which creates a healthy comforable environment for every dog that comes her way. Ashley has been with us since October 2015. She has over 9 years experience working with dogs. 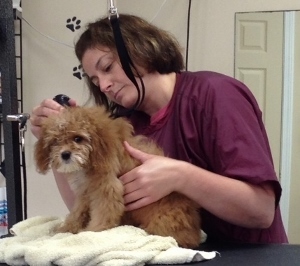 With her strong work ethic, love for the job and dedication she has grown into a wonderful bather and groomer. 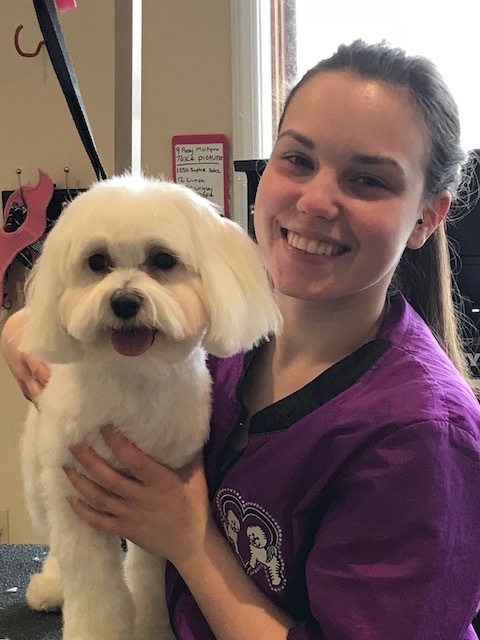 She is certified in animal CPR and First Aid and has also taken courses in canine skin care, handling & grooming techniques. She addresses each dog specific to their needs in order to have the best experience possible! 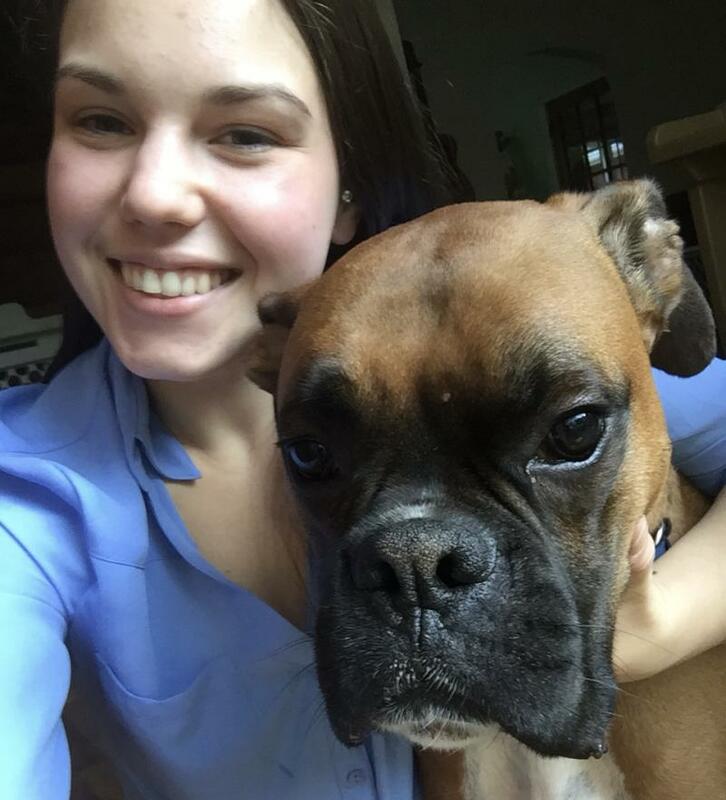 She exceeds at her position as well as a receptionist in order to maintain strong relationships with our clients and their dogs.